Boxing Day. Hardly observed in America. Perhaps known by few. But, of course, a national holiday in the UK and Ireland. 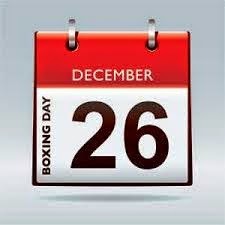 Here in Uganda, East Africa, Boxing Day is also a big deal since this nation was colonized by the British. I don't know how it is observed in the other places of the world, but here it is fill with concerts and other events bordering on the weird and wild. Traffic is, well, how can it be called traffic when the vehicles are not moving? Isn't that parking? Observed the day after Christmas, I imagined Boxing Day would come and go in silence. I was wrong. Really wrong. People were behaving crazy ... as though it was New Year's Eve and time to party hard for the last opportunity before the old passes away and the new year arrives. In reality, Boxing Day ushered in a week of really crazy behavior. Businesses where closed. School was on holiday. So called "good times" had arrived and wouldn't disappear until next year. It was dark! Very dark because there were no street lights in this particular place in Kampala. It was late. Very late, which means minimal vehicles on the roads. And, the few that are on the roads are driving as fast as possible since police officers have gone home and retired to their beds. Suddenly, the car in front of us did a serpentine move, swerving from one side to the other. Fortunately, that was a tip off for our driver. Suddenly we observed why he was weaving and Peter, too, began to avoid running over what was in front of us! Standing in the road, without a stitch of clothing, was a black man with his fingers interlocked behind his head ... either daring every vehicle or attempting to get every vehicle to run over him at high speed. When Peter went to the right he would rush to the right. When Peter rushed to the left, he also rushed to the left. At the last moment, Peter whooshed past him, hitting the man's elbow with the driver's side mirror! I share this graphic late night encounter to give you an idea of how this week has been rather crazy for me here ... in Uganda ... far from the normal Christmas to New Years time that I was accustomed to in America. 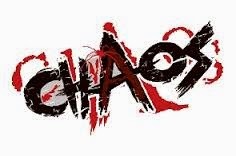 Chaos. Crazy chaos. Houses being broken into and looted. Drunken parties abounding. And our encounter with a suicidal naked man on a dark street in the capital city was a precursor to the kind to crazy things that happened between Boxing Day and New Year's Day. We attempted to avoid any personal involvement with it, but it found us, up close and personal, early Monday morning. Right on our veranda. Accidents are common here. But, inexperienced drivers rent cars during the week of chaos. Adding that to the craziness of this season and bad things happen. A young man arrived to tell us that our friend, Kityo [cheat-tee-oh] Peter, had been attempting to contact me on Saturday, but discovered my phone was off. He was on his motorbike and a lady had crashed into him around 4 PM. He had a compound fracture of his right femur and was laid up in a clinic near us. I went to the clinic to find that he had not even been cleaned up since the accident and now it was Monday morning! His wounds had been stitched and his leg put in a splint, but no surgery had been scheduled. He had no money and so he was abandoned. The NGM van becomes an "ambulance"
I immediately called the orthopedic surgeon with whom we have worked with in the past. Yes, he was available. Yes, he would work on our patient. We cleared the bills, loaded Kityo in our van (the ambulance had a mechanical problem) and transported him to the International Hospital Kampala. After X-rays, the doctor revealed that the flesh around the wound was decaying and would need to be cleaned away and infection removed before he could do surgery. He scheduled surgery for Wednesday. I had no time to prepare for this. When I found Kityo with his compound fracture I could have prayed for him that God would do a miracle to appease the gnawing feeling in my gut ... and left him there. But I knew that if he did not have surgery he would either become lame, ultimately have his leg amputated, or, at worst, lose his life if sepsis set in. I just could not say no to the need that was in front of me. Years ago someone asked me to define "who is my neighbor" based on the New Testament story of the Good Samaritan. The result of that question yielded this definition: "Your neighbor is anyone whose need you see AND whose need you can meet." I was seeing the need. I had a little money ... enough to get Kityo to a good surgeon who I was sure could save his leg and affect his future. Kityo cares for his wife and children, his mother, and several others. He has worked as a cook in several prominent restaurants in Jinja. He works as a boda boda man, and farms on his land. Many depend on him. What would happen if his ability to earn a livelihood was removed by this injury? How about you? Are you seeing the need that is here? Can you help me meet it? The surgery has been completed. Kityo could be released from the hospital this next Monday. It will be the surgeon's call. His hospital bill will have to be paid before he can be discharged. The surgeon will also have to be paid. Yesterday I received a call asking for $30 to purchase crutches. The family and friends can give no financial help. The lady who caused the accident was suppose to give us 1,000,000 shillings for medical assistance. But she was 7 months pregnant, and she had to go to the hospital herself and discovered the baby had died as a result of the accident. Kityo has received no money. We need help. I know that I can not be driven by needs. Everywhere I look there are needs. They show up on my veranda almost everyday. I say no to many of them because I simply don't have the resources to manage them. But, this time I could not say no. After I stopped by the house on Monday, as I was transporting Kityo, to get as much cash as I had available before going to the hospital on, my wife, Pam, whispered in my ear, "You are doing the right thing. This will affect the future of this man and those he is taking care of. It will make an impact." I haven't looked back. I did the right thing. I just don't know how the Lord will provide the finances to clear this bill. I believe He will. But, I just don't know how. Yet. Maybe He will use you. If you would like to be a part of this story, please send your check or money order to Next Generation Ministries to 29940 South Dhooghe Road, Colton, OR 97017. Please write Medical on the memo line.